℗ 2011 This Compilation 2011 Atlantic Recording Corporation for the United States and WEA International Inc. for the world outside of the United States. A Warner Music Group Company. All Rights Reserved © 2011 Motion Picture Artwork, Photos and Fox Trademarks and Logos TM and 2011 Twentieth Century Fox Film Corporation. All rights reserved. 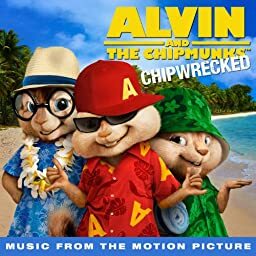 Alvin and the Chipmunks, the Chipettes and Characters TM & 2011 Bagdasarian Productions, LLC. All rights reserved. 2011 Twentieth Century Fox Film Corporation. All rights reserved. Motion Picture, Photos and New Regency Trademarks and Logos TM and 2011 Monarcy Enterprises, S.a.r.l. and Regency Entertainment (USA), Inc.